Used Cars priced $10k - 20k near Farmington Hills | Southfield Chrysler Dodge Jeep Ram " "
Recent Arrival! 17 INCH WHEELS, RUNNING BOARDS,, 4WD, 17 x 7.5 Aluminum Wheels, Power Convenience Group, Power Locks, Power Windows w/Driver & Front Passenger 1-Touch, Remote Keyless Entry, Security Alarm.Natural Green Pearlcoat 2010 Jeep Wrangler Sport 2D Sport Utility 3.8L V6 SMPI 4-Speed Automatic VLP 4WDSouthfield Dodge Chrysler Jeep Ram is delighted to offer this gorgeous-looking and fun 2010 Jeep Wrangler.Southfield Chrysler Dodge Jeep Ram became part of the Ken Garff Family in 2014. Our dealership has many satisfied customers from Southfield, Detroit, Bloomfield Hills, Farmington Hills, and Troy, MI. Our commitment to our customers begins from the moment they step into our showroom and test drive one of our new Chrysler, Dodge, Jeep, or Ram models or one of our quality used vehicles. Recent Arrival! NEW TIRES, 6-SPEED MANUAL TRANSMISSION, HARD TOP, MANUAL WINDOWS/LOCKS, TRAILER TOW PACKAGE, 17 x 7.5 Aluminum Painted Mineral Gray Wheels, Air Conditioning, CD player, Class II Receiver Hitch, Front fog lights, Radio: Media Center 130 CD/MP3, Speed control, Trailer Sway Damping, Trailer Tow Group, Trailer Tow w/4-Pin Connector Wiring. CARFAX One-Owner.Mango Tango Pearlcoat 2011 Jeep Wrangler Unlimited Sport 4D Sport Utility 3.8L V6 SMPI 6-Speed Manual 4WDSouthfield Dodge Chrysler Jeep Ram is pumped up to offer this good-looking and fun 2011 Jeep Wrangler.Southfield Chrysler Dodge Jeep Ram became part of the Ken Garff Family in 2014. Our dealership has many satisfied customers from Southfield, Detroit, Bloomfield Hills, Farmington Hills, and Troy, MI. Our commitment to our customers begins from the moment they step into our showroom and test drive one of our new Chrysler, Dodge, Jeep, or Ram models or one of our quality used vehicles. Recent Arrival! FCA CERTIFIED PRE-OWNED!, SUNROOF, LEATHER HEATED SEATS, REMOTE START, 17'' ALUMINUM WHEELS, POWER DRIVER SEAT, Air Conditioning, AM/FM radio: SiriusXM, Audio Jack Input for Mobile Devices, Body Color Fascias w/Bright Insert, Bright Exhaust Tip, Bright Side Roof Rails, Fully automatic headlights, Heated front seats, Leather Trimmed Bucket Seats, ParkView Rear Back-Up Camera, Power 6-Way Driver Seat, Power Express Open/Close Sunroof, Quick Order Package 24G High Altitude Edition, Rear window defroster, Remote Start System, Speed control, Steering wheel mounted audio controls, Wheels: 17 x 6.5 Granite Painted Pocket. CARFAX One-Owner.Black Clearcoat 2017 Jeep Patriot High Altitude 4D Sport Utility 2.0L I4 DOHC 16V Dual VVT CVT FWDCertified. FCA US Certified Pre-Owned Details: * Roadside Assistance * 125 Point Inspection * Warranty Deductible: $100 * Limited Warranty: 3 Month/3,000 Mile (whichever comes first) after new car warranty expires or from certified purchase date * Vehicle History * Transferable Warranty * Includes First Day Rental, Car Rental Allowance, and Trip Interruption Benefits * Powertrain Limited Warranty: 84 Month/100,000 Mile (whichever comes first) from original in-service dateSouthfield Dodge Chrysler Jeep Ram is proud to offer this charming 2017 Jeep Patriot. 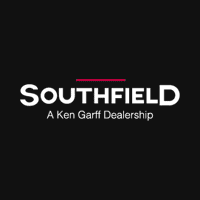 22/26 City/Highway MPGAwards: * 2017 KBB.com 10 Most Awarded Brands Southfield Chrysler Dodge Jeep Ram became part of the Ken Garff Family in 2014. Our dealership has many satisfied customers from Southfield, Detroit, Bloomfield Hills, Farmington Hills, and Troy, MI. Our commitment to our customers begins from the moment they step into our showroom and test drive one of our new Chrysler, Dodge, Jeep, or Ram models or one of our quality used vehicles. Recent Arrival! FCA CERTIFIED PRE-OWNED!, HIGH ALTITUDE PACKAGE, LEATHER HEATED SEATS, REMOTE START, 17'' ALUMINUM WHEELS, POWER DRIVER SEAT,, Air Conditioning, Body Color Fascias w/Bright Insert, Bright Exhaust Tip, Bright Side Roof Rails, Fully automatic headlights, Heated front seats, Leather Trimmed Bucket Seats, Power 6-Way Driver Seat, Power Express Open/Close Sunroof, Quick Order Package 23G High Altitude Edition, Remote Start System, SIRIUS Satellite Radio, Speed control, Steering wheel mounted audio controls, Traction control, Wheels: 17 x 6.5 Granite Painted Pocket. CARFAX One-Owner. Clean CARFAX.Granite Crystal Metallic Clearcoat 2016 Jeep Patriot High Altitude 4D Sport Utility 2.4L I4 DOHC 16V Dual VVT 6-Speed Automatic 4WDCertified. FCA US Certified Pre-Owned Details: * 125 Point Inspection * Warranty Deductible: $100 * Transferable Warranty * Includes First Day Rental, Car Rental Allowance, and Trip Interruption Benefits * Powertrain Limited Warranty: 84 Month/100,000 Mile (whichever comes first) from original in-service date * Roadside Assistance * Vehicle History * Limited Warranty: 3 Month/3,000 Mile (whichever comes first) after new car warranty expires or from certified purchase dateSouthfield Dodge Chrysler Jeep Ram is honored to offer this terrific 2016 Jeep Patriot. 20/26 City/Highway MPGSouthfield Chrysler Dodge Jeep Ram became part of the Ken Garff Family in 2014. Our dealership has many satisfied customers from Southfield, Detroit, Bloomfield Hills, Farmington Hills, and Troy, MI. Our commitment to our customers begins from the moment they step into our showroom and test drive one of our new Chrysler, Dodge, Jeep, or Ram models or one of our quality used vehicles. Recent Arrival! FCA CERTIFIED PRE-OWNED!, SUNROOF, LEATHER HEATED SEATS, REMOTE START, BLUETOOTH, 17'' ALUMINUM WHEELS,, Air Conditioning, AM/FM radio: SiriusXM, Body Color Fascias w/Bright Insert, Bright Exhaust Tip, Bright Side Roof Rails, Heated front seats, Leather Trimmed Bucket Seats, Power 6-Way Driver Seat, Power Express Open/Close Sunroof, Quick Order Package 23P High Altitude, Remote Start System, Speed control, Steering wheel mounted audio controls, Wheels: 17 x 6.5 Granite Painted Pocket. CARFAX One-Owner. Clean CARFAX.Mojave Sand Clearcoat 2017 Jeep Compass High Altitude 4D Sport Utility 2.4L I4 DOHC 16V Dual VVT 6-Speed Automatic 4WDCertified. FCA US Certified Pre-Owned Details: * Transferable Warranty * Vehicle History * Includes First Day Rental, Car Rental Allowance, and Trip Interruption Benefits * Roadside Assistance * Powertrain Limited Warranty: 84 Month/100,000 Mile (whichever comes first) from original in-service date * Limited Warranty: 3 Month/3,000 Mile (whichever comes first) after new car warranty expires or from certified purchase date * 125 Point Inspection * Warranty Deductible: $100Southfield Dodge Chrysler Jeep Ram is pleased to offer this attractive-looking 2017 Jeep Compass. Odometer is 5157 miles below market average!Awards: * 2017 KBB.com 10 Most Awarded Brands Southfield Chrysler Dodge Jeep Ram became part of the Ken Garff Family in 2014. Our dealership has many satisfied customers from Southfield, Detroit, Bloomfield Hills, Farmington Hills, and Troy, MI. Our commitment to our customers begins from the moment they step into our showroom and test drive one of our new Chrysler, Dodge, Jeep, or Ram models or one of our quality used vehicles. Recent Arrival! FCA CERTIFIED PRE-OWNED!, AIR CONDITIONING, CRUISE CONTROL, 16'' WHEELS, REAR VISION CAMERA, BLUETOOTH, REMOTE KEYLESS ENTRY, 16 x 6.5 Styled Steel Wheels, Air Conditioning, Delay-off headlights, Power & Air Group, Power Heated Mirrors, Radio: Uconnect 3 w/5 Display, Remote keyless entry, Speed Control, Steering wheel mounted audio controls. CARFAX One-Owner.Solar Yellow 2018 Jeep Renegade Sport 4D Sport Utility 2.4L I4 9-Speed 948TE Automatic FWDCertified. FCA US Certified Pre-Owned Details: * Limited Warranty: 3 Month/3,000 Mile (whichever comes first) after new car warranty expires or from certified purchase date * Warranty Deductible: $100 * Transferable Warranty * 125 Point Inspection * Powertrain Limited Warranty: 84 Month/100,000 Mile (whichever comes first) from original in-service date * Includes First Day Rental, Car Rental Allowance, and Trip Interruption Benefits * Vehicle History * Roadside AssistanceSouthfield Dodge Chrysler Jeep Ram is very proud to offer this outstanding-looking 2018 Jeep Renegade. 22/30 City/Highway MPGSouthfield Chrysler Dodge Jeep Ram became part of the Ken Garff Family in 2014. Our dealership has many satisfied customers from Southfield, Detroit, Bloomfield Hills, Farmington Hills, and Troy, MI. Our commitment to our customers begins from the moment they step into our showroom and test drive one of our new Chrysler, Dodge, Jeep, or Ram models or one of our quality used vehicles. Recent Arrival! FCA CERTIFIED PRE-OWNED!, SUNROOF, LEATHER HEATED SEATS, REMOTE START, 17'' ALUMINUM WHEELS, POWER DRIVER SEAT, ABS brakes, Body Color Fascias w/Bright Insert, Bright Exhaust Tip, Bright Side Roof Rails, Fully automatic headlights, Leather Trimmed Bucket Seats, Power 6-Way Driver Seat, Power Express Open/Close Sunroof, Quick Order Package 23G High Altitude Edition, Remote Start System, Speed control, Steering wheel mounted audio controls, Traction control, Wheels: 17 x 6.5 Granite Painted Pocket. CARFAX One-Owner. Clean CARFAX.Mojave Sand Clearcoat 2017 Jeep Patriot High Altitude 4D Sport Utility 2.4L I4 DOHC 16V Dual VVT 6-Speed Automatic 4WDCertified. FCA US Certified Pre-Owned Details: * Warranty Deductible: $100 * Vehicle History * Includes First Day Rental, Car Rental Allowance, and Trip Interruption Benefits * Powertrain Limited Warranty: 84 Month/100,000 Mile (whichever comes first) from original in-service date * Roadside Assistance * Transferable Warranty * Limited Warranty: 3 Month/3,000 Mile (whichever comes first) after new car warranty expires or from certified purchase date * 125 Point InspectionSouthfield Dodge Chrysler Jeep Ram is delighted to offer this beautiful 2017 Jeep Patriot. Odometer is 4180 miles below market average!Awards: * 2017 KBB.com 10 Most Awarded Brands Southfield Chrysler Dodge Jeep Ram became part of the Ken Garff Family in 2014. Our dealership has many satisfied customers from Southfield, Detroit, Bloomfield Hills, Farmington Hills, and Troy, MI. Our commitment to our customers begins from the moment they step into our showroom and test drive one of our new Chrysler, Dodge, Jeep, or Ram models or one of our quality used vehicles. Recent Arrival! FCA CERTIFIED PRE-OWNED!, SUNROOF, LEATHER HEATED SEATS, REMOTE START, POWER DRIVER SEAT, REAR VISION CAMERA, Air Conditioning, Audio Jack Input for Mobile Devices, Body Color Fascias w/Bright Insert, Bright Exhaust Tip, Bright Side Roof Rails, Fully automatic headlights, Heated front seats, Leather Trimmed Bucket Seats, ParkView Rear Back-Up Camera, Power 6-Way Driver Seat, Power Express Open/Close Sunroof, Quick Order Package 23G High Altitude Edition, Remote Start System, SIRIUS Satellite Radio, Speed control, Steering wheel mounted audio controls, Wheels: 17 x 6.5 Granite Painted Pocket. CARFAX One-Owner. Clean CARFAX.True Blue Pearlcoat 2016 Jeep Patriot High Altitude 4D Sport Utility 2.4L I4 DOHC 16V Dual VVT 6-Speed Automatic 4WDCertified. FCA US Certified Pre-Owned Details: * Roadside Assistance * Transferable Warranty * Warranty Deductible: $100 * 125 Point Inspection * Limited Warranty: 3 Month/3,000 Mile (whichever comes first) after new car warranty expires or from certified purchase date * Vehicle History * Includes First Day Rental, Car Rental Allowance, and Trip Interruption Benefits * Powertrain Limited Warranty: 84 Month/100,000 Mile (whichever comes first) from original in-service dateSouthfield Dodge Chrysler Jeep Ram is honored to offer this gorgeous 2016 Jeep Patriot. Odometer is 11271 miles below market average! 20/26 City/Highway MPGSouthfield Chrysler Dodge Jeep Ram became part of the Ken Garff Family in 2014. Our dealership has many satisfied customers from Southfield, Detroit, Bloomfield Hills, Farmington Hills, and Troy, MI. Our commitment to our customers begins from the moment they step into our showroom and test drive one of our new Chrysler, Dodge, Jeep, or Ram models or one of our quality used vehicles. Recent Arrival! FCA CERTIFIED PRE-OWNED!, 17 x 6.5 Aluminum Wheels, 3.16 Axle Ratio, Automatic Headlamps, Black Headlamp Bezels, Blacktop Package, Bluetooth Streaming Audio, Body Color Exterior Mirrors, Electronic Stability Control, Floor Console w/Cupholder, Front Fog Lamps, Gloss Black Grille, Highline Door Trim Panel, Instrument Panel w/Piano Black Applique, Leather Wrapped Shift Knob, Leather Wrapped Steering Wheel, Premium Cloth Bucket Seats, Premium Interior Accents, Quick Order Package 29H SE Plus, Rear Air Conditioning w/Heater, Rear Fascia Scuff Pad, Remote Start System, Remote USB Port, Security Alarm, Security Group, Silver Accent Stitching, Steering Wheel Mounted Audio Controls, Uconnect Hands-Free Group, Uconnect Voice Command w/Bluetooth. CARFAX One-Owner. Clean CARFAX.White 2018 Dodge Grand Caravan SE 4D Passenger Van 3.6L V6 24V VVT 6-Speed Automatic FWDSouthfield Dodge Chrysler Jeep Ram is pleased to offer this great-looking 2018 Dodge Grand Caravan.Southfield Chrysler Dodge Jeep Ram became part of the Ken Garff Family in 2014. Our dealership has many satisfied customers from Southfield, Detroit, Bloomfield Hills, Farmington Hills, and Troy, MI. Our commitment to our customers begins from the moment they step into our showroom and test drive one of our new Chrysler, Dodge, Jeep, or Ram models or one of our quality used vehicles. Recent Arrival! FCA CERTIFIED PRE-OWNED!, REMOTE KEYLESS ENTRY, REAR VISION CAMERA, 17'' ALUMINUM WHEELS, BLUETOOTH, 17 x 7 Aluminum Wheels, Air Conditioning, Fully automatic headlights, Premium Cloth Bucket Seats, Quick Order Package 24J, Radio: Uconnect 5.0, Rear window defroster, Remote keyless entry, Speed control, Steering wheel mounted audio controls. CARFAX One-Owner.Brilliant Black Crystal Pearlcoat 2016 Jeep Cherokee Latitude 4D Sport Utility 2.4L 4-Cylinder SMPI SOHC 9-Speed 948TE Automatic FWDCertified. FCA US Certified Pre-Owned Details: * Warranty Deductible: $100 * Includes First Day Rental, Car Rental Allowance, and Trip Interruption Benefits * Roadside Assistance * Vehicle History * 125 Point Inspection * Limited Warranty: 3 Month/3,000 Mile (whichever comes first) after new car warranty expires or from certified purchase date * Powertrain Limited Warranty: 84 Month/100,000 Mile (whichever comes first) from original in-service date * Transferable WarrantySouthfield Dodge Chrysler Jeep Ram is delighted to offer this handsome 2016 Jeep Cherokee. Odometer is 12305 miles below market average! 22/31 City/Highway MPGSouthfield Chrysler Dodge Jeep Ram became part of the Ken Garff Family in 2014. Our dealership has many satisfied customers from Southfield, Detroit, Bloomfield Hills, Farmington Hills, and Troy, MI. Our commitment to our customers begins from the moment they step into our showroom and test drive one of our new Chrysler, Dodge, Jeep, or Ram models or one of our quality used vehicles. Recent Arrival! FCA CERTIFIED PRE-OWNED!, HEATED SEATS, REMOTE START, 7'' TOUCH SCREEN RADIO W/ APPLE CARPLAY, 16'' ALUMINUM WHEELS, REAR VISION CAMERA, BLUETOOTH, 115V Auxiliary Power Outlet, 1-Year SiriusXM Radio Service, 7.0 Touch Screen Display, Air Conditioning ATC w/Dual Zone Control, All-Season Floor Mats, Apple CarPlay, Black Side Roof Rails, Body Color Door Handles, Cluster 7.0 Color Driver Info Display, Cold Weather Group, Deep Tint Sunscreen Glass, For More Info, Call 800-643-2112, Google Android Auto, GPS Antenna Input, Heated Front Seats, Heated Steering Wheel, Humidity Sensor, Integrated Center Stack Radio, Leather Wrapped Steering Wheel, ParkSense Rear Park Assist System, Premium Air Filter, Radio: Uconnect 4 w/7 Display, Remote Proximity Keyless Entry, Reversible Carpet/Vinyl Cargo Mat, SiriusXM Satellite Radio, Speed control, Sport Appearance Plus, Steering wheel mounted audio controls, Tech Group, USB Host Flip, Wheels: 16 x 6.5 Silver Painted Aluminum, Windshield Wiper De-Icer. CARFAX One-Owner. Clean CARFAX.White Clearcoat 2018 Jeep Compass Sport 4D Sport Utility 2.4L I4 9-Speed Automatic 4WDCertified. FCA US Certified Pre-Owned Details: * Warranty Deductible: $100 * Powertrain Limited Warranty: 84 Month/100,000 Mile (whichever comes first) from original in-service date * Vehicle History * Includes First Day Rental, Car Rental Allowance, and Trip Interruption Benefits * Roadside Assistance * Transferable Warranty * Limited Warranty: 3 Month/3,000 Mile (whichever comes first) after new car warranty expires or from certified purchase date * 125 Point InspectionSouthfield Dodge Chrysler Jeep Ram is pumped up to offer this great-looking 2018 Jeep Compass. Odometer is 1842 miles below market average! 22/30 City/Highway MPGSouthfield Chrysler Dodge Jeep Ram became part of the Ken Garff Family in 2014. Our dealership has many satisfied customers from Southfield, Detroit, Bloomfield Hills, Farmington Hills, and Troy, MI. Our commitment to our customers begins from the moment they step into our showroom and test drive one of our new Chrysler, Dodge, Jeep, or Ram models or one of our quality used vehicles. Recent Arrival! NEW TIRES, NITTO DRAG RADIALS VERY CLEAN CAR, MUST SEE! !, SRT HEMI 6.1L V8, 4WD, 115V Auxiliary Power Outlet, 11-Speaker Kicker SRT High Performance Audio, 20 x 9 Front & 20 x 10 Rear Aluminum Wheels, 200 Watt Kicker SRT Subwoofer, 276 Watt Kicker SRT Amplifier, 30GB HDD w/4,250-Song Capacity, Air Conditioning ATC w/Dual Zone Control, Auto-Dimming Exterior Driver Mirror, Auto-Dimming Exterior Passenger Mirror, Deluxe Door Trim Panel, Electronic Stability Control, Exterior Mirrors w/Heating Element, Exterior Mirrors w/Memory, GPS Navigation, Heated Front Seats, Instrument Cluster w/Perf Display Screen, Media CTR 730N CD/DVD/HDD/Navigation, ParkSense Rear Park Assist System, ParkView Rear Back-Up Camera, Power 8-Way Driver Memory 4-Way Passenger Seats, Power Adjustable Pedals w/Memory, Power Heated Memory Mirrors w/Fold-Away, Power Sunroof, Quick Order Package 29L, Radio, Driver's Seat & Mirror Adjustment Memory, Rain Sensing Windshield Wipers, Rear-View Auto-Dimming Mirror w/Microphone, Remote Start System, SIRIUS Realtime Traffic, SIRIUS Traffic, SmartBeam Headlamps, SRT High Performance Audio & Navigation Group, SRT Option Group I, Uconnect Phone w/Voice Command. CARFAX One-Owner.Brilliant Black Crystal Pearl 2010 Jeep Grand Cherokee SRT8 4D Sport Utility SRT HEMI 6.1L V8 5-Speed Automatic 4WDSouthfield Dodge Chrysler Jeep Ram is honored to offer this superb-looking 2010 Jeep Grand Cherokee.Southfield Chrysler Dodge Jeep Ram became part of the Ken Garff Family in 2014. Our dealership has many satisfied customers from Southfield, Detroit, Bloomfield Hills, Farmington Hills, and Troy, MI. Our commitment to our customers begins from the moment they step into our showroom and test drive one of our new Chrysler, Dodge, Jeep, or Ram models or one of our quality used vehicles. Recent Arrival! FCA CERTIFIED PRE-OWNED!, 19'' HYPER BLACK ALUMINUM WHEELS, REMOTE START, LEATHER HEATED SEATS, BEATS PREMIUM AUDIO SYSTEM, DUAL ZONE CLIMATE CONTROL, Automatic temperature control, Front dual zone A/C, Fully automatic headlights, Garage door transmitter, Heated front seats, Leather Trimmed Sport Bucket Seats, Power driver seat, Power passenger seat, Radio: Uconnect 8.4, SiriusXM Satellite Radio, Speed control, Steering wheel mounted audio controls, Wheels: 19 x 7.5 Aluminum HyperBlack. CARFAX One-Owner.Gloss Black 2016 Chrysler 300 S 4D Sedan 3.6L 6-Cylinder SMPI DOHC 8-Speed Automatic AWDCertified. FCA US Certified Pre-Owned Details: * Limited Warranty: 3 Month/3,000 Mile (whichever comes first) after new car warranty expires or from certified purchase date * Powertrain Limited Warranty: 84 Month/100,000 Mile (whichever comes first) from original in-service date * Warranty Deductible: $100 * Transferable Warranty * 125 Point Inspection * Roadside Assistance * Vehicle History * Includes First Day Rental, Car Rental Allowance, and Trip Interruption BenefitsSouthfield Dodge Chrysler Jeep Ram is delighted to offer this attractive 2016 Chrysler 300. 18/27 City/Highway MPGAwards: * 2016 KBB.com Best Buy Awards Finalist * 2016 KBB.com Brand Image Awards Southfield Chrysler Dodge Jeep Ram became part of the Ken Garff Family in 2014. Our dealership has many satisfied customers from Southfield, Detroit, Bloomfield Hills, Farmington Hills, and Troy, MI. Our commitment to our customers begins from the moment they step into our showroom and test drive one of our new Chrysler, Dodge, Jeep, or Ram models or one of our quality used vehicles. Pre-owned vehicle pricing includes all offers and incentives. Tax, Title and Tags not included in vehicle prices shown and must be paid by the purchaser. While great effort is made to ensure the accuracy of the information on this site, errors do occur so please verify information with a customer service rep. This is easily done by calling us at (248) 331-9937 or by visiting us at the dealership.